Save time and energy as you begin a Grief Support Group, or add new ideas and material to a current group! 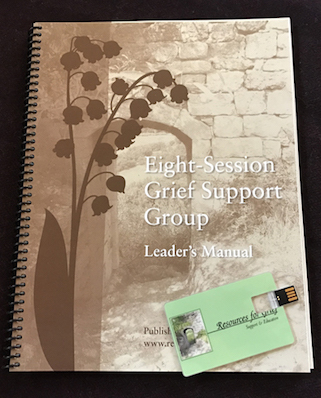 Our Grief Support Group Manual will contribute to the success of your group meetings. 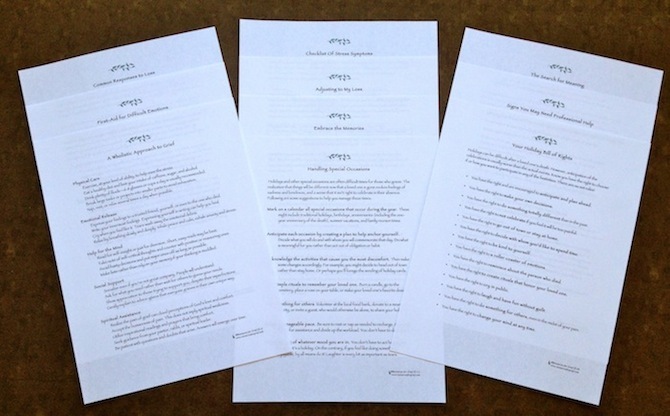 The educational handouts that come in the packet are consistent in quality and appearance, and you have permission to print as many as you need for your group members. The handouts will come to you on a USB flash drive for easy printing. Use them with confidence knowing they have been reviewed, edited, and given a "two thumbs up" by grief professionals and the bereaved. "I have received the Grief Support Group Manual and am very pleased with your product. Thank you for doing business with us." --Christopher, LCSW, Behavioral Health Organization in Maine. "Thanks for this resource; it\'s made my job as group leader so much easier." --Mindy, Funeral Home in Texas.